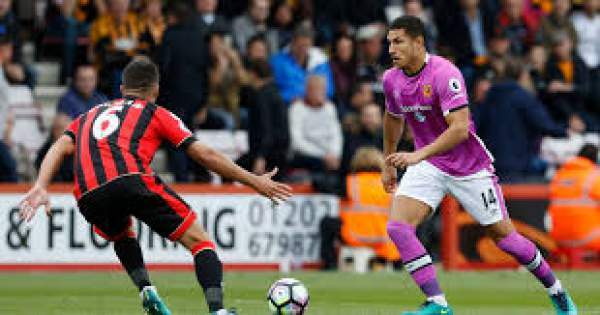 Hull City vs Bournemouth Live Streaming: We have the 21st matchday of the Premier League, and today we have Hull City hosting Bournemouth at the KCOM Stadium for the game. Hull are last on the table with 13 points from 20 matches, two points below Swansea City and three points off safety from the relegation zone. Bournemouth is ninth on the table with 25 points from twenty games, four points below West Bromwich Albion and one point above Southampton. KCOM Stadium, H City, England. Hull C are in pretty bad shape and not getting any better, be it the league or any other competition. They have been beaten at every point in every game. They have just 13 point after 20 games in the league, winning just three. They have conceded 44 goals in the league, the second most in the league after Swansea City. They haven’t lost back to back games against Bournemouth since 1989/90 season. Robert Snodgrass is their main men as he has been involved in Hull’s 17 premier league goals this season and he played well against Manchester United in the semi-final as well. Snodgrass has seven goals this season, the most he has scored in any other premier league season. Bournemouth has defeated H City by 6-1 at Vitality stadium, Hull’s heaviest loss in league’s history. Bournemouth hasn’t been the best at their away games as they have just won two of their last 12 Premier League games. Bournemouth recently played against Millwall away in the third round of FA Cup and lost the game to the league one side, Steve Morison, Shaun Cummings and Shane Ferguson scored for the home team. 4-3-3 formation: Marshall, Maguire, Davies, Dawson, Huddlestone, Elmohamady, Clucas, Livermore, Diomande, Snodgrass, Mbokani. Both the teams lost their previous games in the cup and would want to bounce back with a win.